- Racing Invitations should now function properly. - Ghost Roaster should now function normally in Race Mode. - Discovering a new Sensei Realm will now count for the 'Discover Realms' Quest. - The game should no longer crash when racing with certain older Skylanders. - Friends Lists should now operate properly and no longer cause crashes. - Players should no longer have a problem when joining a game through your XBOX Friends List. - Occasional Crashes should no longer occur when attempting to manually save in game. New Location added to the Hub. - Contains space for the Cursed Tiki Temple & Lost Imaginite Mines Adventure Packs. - Free Imaginite Chest located here. Contains full Shield Maiden set. - Fixed Heroic Challenges resetting when an older character brought into Imaginators returned to Giants or Spyro's Adventure. - Fixed issue in Toy Collection where a Light Crystal was displaying incorrectly. Synchronization ~ Adds new Imaginator parts to match other platforms. Performance updates and additional bug fixes. they can just drop online completely, these bug notes are laughable, looks like there is no q&a at all..
"- Discovering a new Sensei Realm will now count for the 'Discover Realms' Quest." Count -- patches for PlayStation and Xbox games are hosted on servers owned by Sony and Microsoft, respectively. You don't have to worry about them disappearing, even if Activision drops support for the game after [whatever the 2017 release will be called] comes out. Does anyone know the download file size for the update yet? Let me know so I can add it. Do not be very excited about this PSX Download Helper - you cannot apply any patch except the most recent one and this patch should be still on Sony's PSN servers to be able to initiate the download process before you replace the link with cached local update file. I kept and tried to install previous patches for Diablo 3 but it doesn't do it - only the latest patch can be installed. then you just grab the latest update, they dont update games forever. when you have it you dont have to deal with psn again for that patch. and with ps4 having 500gb harddisk and patches at 5 or more gb or digital games at 40gb etc.. its nice to not be depended on psn to get it onto your ps4 harddrive after you deleted it. because there was a new game but now you want to try the older game again. so instead of redownloading from psn that can take hours. now you just download it from your pc and it should just be a minute or two.. In this context - yes, you are 100% correct, it will save you a lot of time and traffic to "redownload" many gigabytes from local drive instead of from remote server. I'm using this PSX software for like 2 years already and it is making wonders when I want to reinstall some games. Odd, there seems to be no day-one patch for Wii U.
are you experiencing crashing/friends list bugs on WiiU? As of 10/18 I still haven't received a patch update for PS3 either. Maybe because the Wii U player base doesn't do online stuff as much. Personally I almost never use online multiplayer except with Splatoon. so they basically dropped releasing downloadable patches for the ps3/xb360 and the wiiu this time then.. and instead made sure to finish these games, or they just released them half arsed and dont care. i guess we will find out in the long run. anyway do anyone know how big the file size of these patches was for the xbone and ps4? This is why they should just delay their games for once. i have found out that the ps4 patch v1.01 is at 59.05mb. that is very tiny for a patch on the ps4. Thanks i'll add to top post. Bringing this to top of board for the new update release. Although I think this could do with a Sticky since I'd say more updates will probably release for the Wave 5 adventure pack too and possibly beyond if they are going to do what Infinity did. The notes are very vague, no details on what bugs or if other stuff was included. Did the Wii U not get updated for the new expansion packs? That worries me a little. I don't have the update yet and can't seem to find a way to download it, but my Wii U says it's downloading something, there's just no way to tell what it is. According to spideydr, this update has fixed the heroic challenge glitch. Can anyone with the update check and see if they fixed the Heroic Challenge glitch? I haven't had the nerve to put any of my figures that have all 50 of them done into Imaginators yet, but here was my simple testing. I completed (1) HC from SSA ("Jump For It!") and (1) from Giants ("Skylands Salute") using S2 Whirlwind. I then played with Whirlwind in Imaginators for a bit (after taking the patch of course) - ran through part of the Undead Sensi realm, got some coins, upgraded Whirlwind a bit, etc. to make sure there was a "write" to the figure. I then put Whirlwind back in Giants and it still shows (2) completed Heroic Challenges and the upgrades etc were there proving it was actually written to in Imaginators. I hope this is really fixed because I have dozens of maxed out green, orange, and even blue-based figures that I have been keeping out of Imaginators due to this glitch. Are they gonna update the Creator App with all the new parts? Or, was it not that update? I checked, no update for the app on the app store. 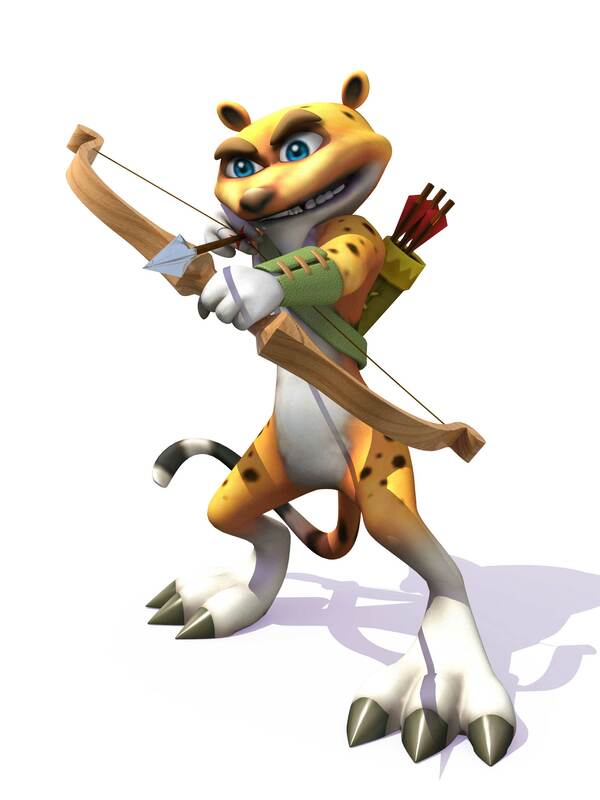 Did anyone check if heroic challenges from Spyro's Adventure still get erased when the character is placed on the portal? Mega Spyro provided a quote from someone who tested it just a couple of posts up, and apparently, it got fixed. I play on the Wii U, and I have noticed in the past that I always got an update a short time after the same update on different consoles. Also, I totally was not expecting them to fix the Heroic Challenges glitch; this begs the question why they didn't fix this problem sooner. Call me X, if you will. I've given you all you need to know to find out my true name, but then why am I using a pseudonym? I'll add the size for Wii U to the main post. I think SCL Matt has created a nice video walkthrough of the update so i'll add that to if he doesn't mind. Any news about PS3 and XBox360? Also, I totally was not expecting them to fix the Heroic Challenges glitch; this begs the question why they didn't fix this problem sooner. Because they have to pay Sony and Microsoft a fee to release patches, so they waited until they had content to add (as this results in them making money, not losing it). Not sure if Nintendo charges for patches or not, but there's no real point in patching a console that only ~20% of users are playing on if they can't afford to patch the others. What happens when you take an Imaginator with a new part into an old version of the game? I'm guessing this patch is permanently flagged on the console, like the Superchargers patch was. So someone will need to have two separate consoles with the game in order to test that out. Apparently, don't try to transfer your Imaginators to the app. Either they will be missing a few parts, or they will just not load at all and break your app. Mine, for PS3, was 600 MB. But it took 2+ hours to load.